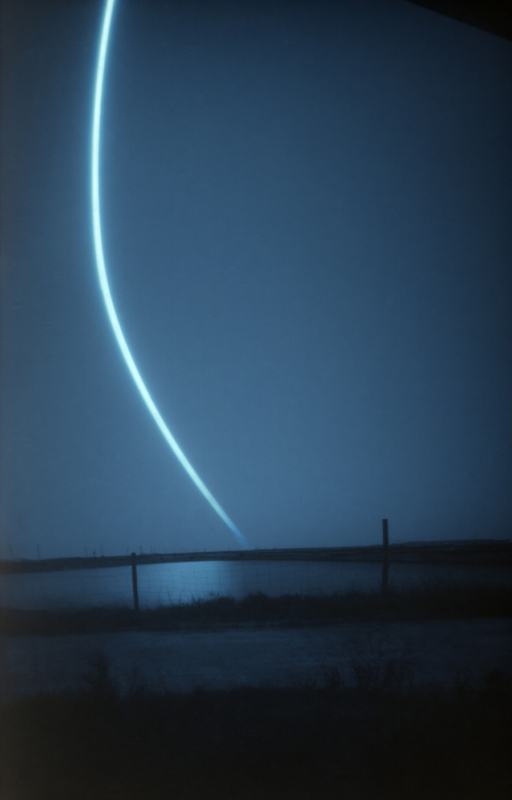 With a new Epson V800 scanner beside me, I’m now able to show you my first attempt at Solargraphy (imaging the sun’s path). A few months ago I designed and 3D printed a pinhole camera to fit some Ilford Photo Paper (3.5×5.5in). Having made a couple of unsuccessful trial images (the images were okay but didn’t capture the sun..) I pointed the camera West for a few days to make the image you see here. The process is quite unique in that the paper is not exposed/developed like a traditional print. A negative image is burnt into the paper over time (anything from a day to 6 months). Once retrieved it is then fixed (optional) and scanned to produce a positive result. The really unique aspect of this process is that it also captures the percentage of sunlight seen in a location over a given time. I hope to make a few more images during 2017. As the title suggests, I’ve made a start on preserving my Dad’s entire film collection. Daunting to most, it’s an absolute must if you wish to retain those family memories. 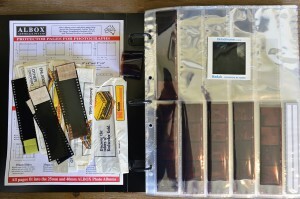 Unfortunately, most peoples film experience was cheap 35mm Kodak Gold and 1hr processing at the local chemist. This means silly 4 frame strips of film and adhesive tape between rolls which, if not removed, can leave a sticky residue. About 80 rolls of film later and some wonderful archiving products from a local Adelaide company Albox, I’ve managed to sleeve everything over the course of 3 or 4 evenings. Far from finished, this has at least saved the negatives which were stored together and allowed me to get a feel for the extent of the project. It’s also re-affirmed the importance of doing this and lack of care taken by old hourly processing labs (finding a good pro lab is a must! I’m lucky to have Atkins Pro Lab around the corner). For the keen eyed, you may also notice some single perf film as well as the standard 35mm. So what’s next? Well there’s a box of 6×6 Ektachrome slides to sort and sleeve and then its time to buy a scanner. This is where the time consuming part really starts! It will take a long time to digitise all of this but, when it’s done, the smile on my parents (and brothers) faces will be worth every penny. I often travel with 2-3 cameras and as many lenses. Not a lot by professional standards but it is enough to occasionally get in the way of creativity. This is amplified when using different formats and mediums. For example, I will carry my Nikon Df (digital) plus a Nikon 35mm body (F3/4/5) and if I want some large negatives the Fuji GW690III will also be packed. 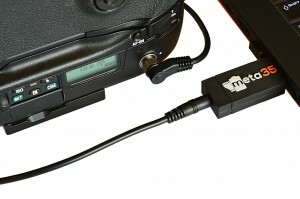 This means juggling each camera, sometimes for a specific image or simply to record an image on each medium. This is hardly practical when the light is brief, the weather is changing and only one tripod is available. I find the problem is further complicated when using different film speeds between 135/120. The solution is simple, just take one camera. But that’s not always going to work for me. However, there are ways to make things easier. Shooting the same film or same ISO/ASA really helps. Fujifilm Velvia 100 and Acros 100 in a couple of Nikon F3’s with lenses to share would give you everything you need. The GW690III is for special images, leave it in the bag unless you need it. Don’t just take a picture on every format available. I was recently given this book as a present after eyeing it off for some time. 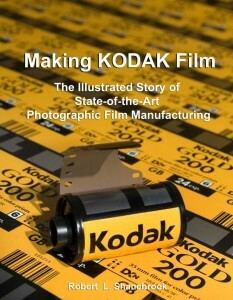 Self published by Robert Shanebrook, a former Kodak employee of 35 plus years, this is a must have resource for those deeply passionate about the analogue way of life. 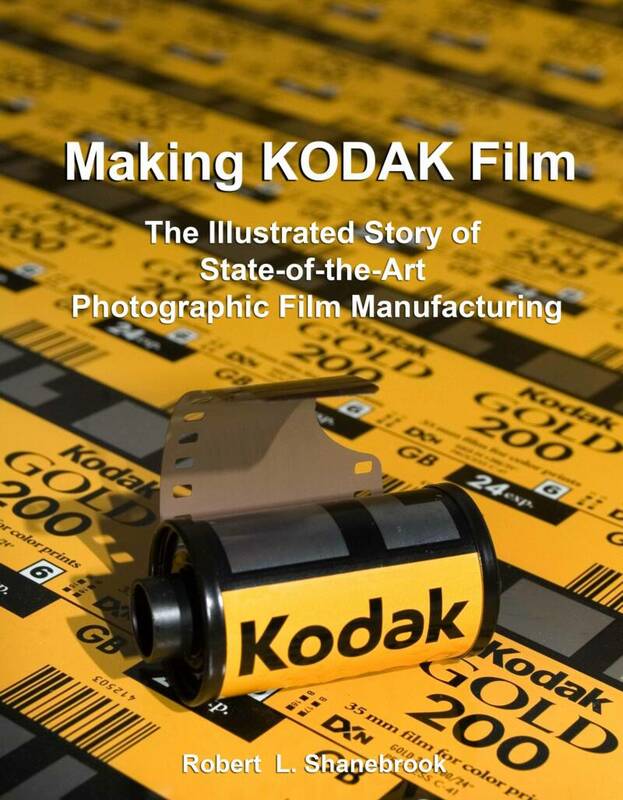 It’s relatively technical and contains many unseen images of the Kodak production facility but leaves a lasting impression as to just how complicated the process of film manufacturing really is. Well it’s been a while since my last post due to work/travel so here is a bit of an update. We’re now more than halfway through 2016, my year of shooting only black and white film or at least that was my resolution. Have I stayed true to that commitment? Not quite, but when there’s a chance to shoot some Kodak Aerochrome (I actually have some more tucked away! ), I couldn’t say no. That aside, I have just finished a roll of Ilford SFX 200 and Kodak 400TX. With a good stock of Tmax 400 and Tri-X 400 in the fridge, I’m happy that I can say 2016 will be ‘mostly’ shot in black an white. It has certainly allowed me concentrate questions like what makes an good image, should I go for contrast or tone and what do I actually want in an image? It’s relatively easy for me to head into the city (Adelaide) and look for some street photos, old buildings, silhouettes and shadows etc. 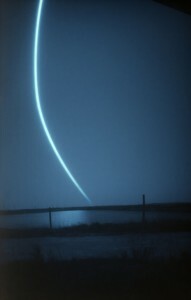 However, my real passion is minimal landscapes and the adventure that goes with them. I’d love to spend every other weekend exploring the Flinders Ranges but that’s probably not going to happen. I’m still making good use of my Nikon F5 and also managed to use one of the Ilford Single Use cameras (HP5+ film through a fixed plastic lens). Not bad if you need something cheap and in a hurry but I’d rather something optically better (like a Nikon 35Ti). The small little camera did fit in my pocket which I will say was refreshing! Here’s something a little different. Whilst I’m not ready to wade headlong into the world of video, this is at least a start. Reflecting on what has been a busy year all round, 2015, photographically speaking, was a good one. It started with a trip out to Lake Eyre, a place of harsh yet fascinating beauty. There is something deeply alluring about the endless horizon of salt and sky. Although, it is a mere entre to the billions of stars that reveal themselves after dark. I’ll be back. I then bit the bullet and sold most of my 645 setup to purchase the Nikon 58mm f1.4G with the crazy idea that I should try my hand at street photography (and I don’t mean pictures of those less fortunate that many pass off as street photography. I mean the relentless pursuit of decisive moments in between the light and the shadows). Turns out this was probably the best move I could have made. Wandering around the streets of Adelaide has taught me more about making good images than any landscape trip (since Nepal). It’s a theme I’ll continue in 2016 along with my desire to shoot only black and white film (above water). The other highlight of 2015 was the chance to use one of the last rolls of Kodak Aerochrome (false colour infrared film). I really wish I have come across this emulsion earlier as I fell in love with the results immediately. So much so that I bought another roll just before it ran out (in the camera as I write this). So what does a monochromatic 2016 look like? Challenging and hopefully just as rewarding. The Nikonos shall definitely see some more use along with some much needed business growth. Whilst the fun part of photography is exploring and capturing moments, printing and selling goes a long way! A year shooting only black and white film (excludes digital and underwater). Sounds simple but for those that know me and my love of colour it won’t be easy. However. it’s just what I need to challenge my ability to create powerful images. You only need to look at the most iconic images in history to see that they were made on Kodak black and white film and probably with a Leica M3 or Nikon F3. I can’t wait so stay tuned! I have my first roll of Tri-X 400 ready to go. With another 35mm roll through the Nikon F5 and back from the lab it’s been a productive weekend sorting images and uploading metadata thanks to Meta35. Now that I’ve used the software a few times, it couldn’t be easier and is well worth it! In terms of work flow it’s as simple as; shoot, develop, scan, embed, edit and make a contact sheet. If you have a compatible camera and shoot film even on an irregular basis, this product is a must.